Euforia‘s desserts are made entirely with all-natural ingredients (and are also all gluten free). Each cake is hand made and requires delicate precision and care to achieve the perfect texture and flavor. The cakes are based on Indonesian cakes. 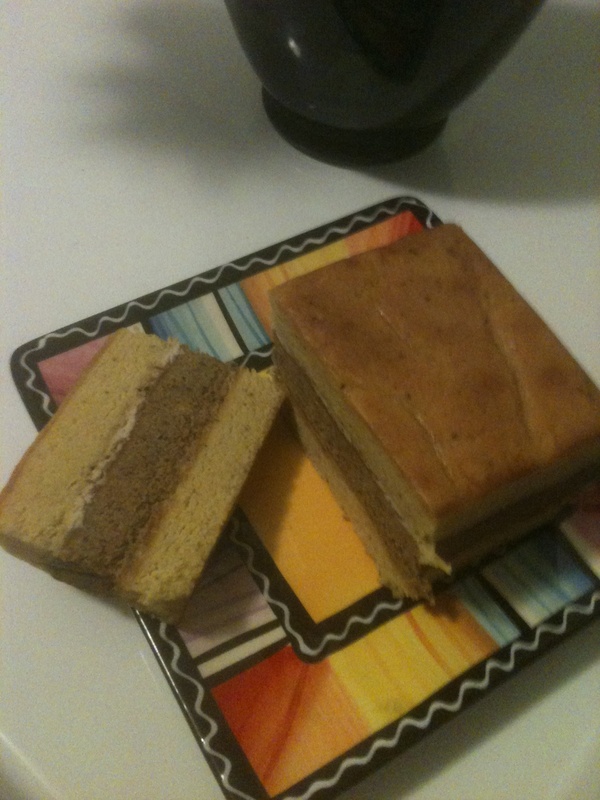 The cake I tried was Euforia Triple Delight Cake. Look how good this cake looks. It was very light but good tasting. It has three layers of cake. It starts and finishes with vanilla cake and has chocolate in the middle. It has caramel butter to hold each layer together. I thought it had a very buttery flavor, moist and was very good. This recipe is a family recipe from Indonesia. The cake is eaten at special occasions such as holidays and birthdays. Euforia also makes another cake called Thousand Layer Cake that is also served for special occasions and holidays. I love to try things from another culture and learn about how things are made and when they are served. I like that this cake was all-natural and gluten free so that anyone can eat it. Each cake is also hand made. If you would like to try some great tasting desserts you can order HERE online. You can also connect with Euforia on Facebook. No gluten but still light, sounds interesting.